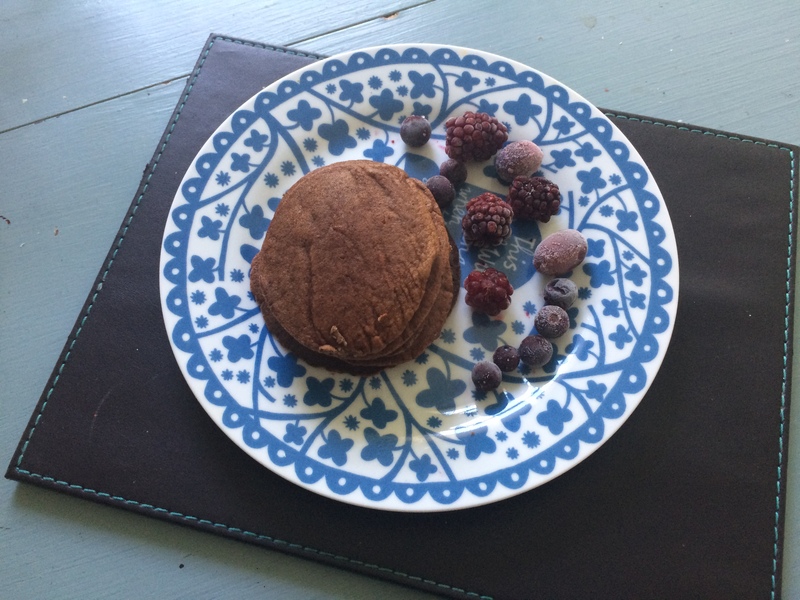 These cacao gluten-free ‘chocolate pancakes’ are such a winner. Absolutely delicious and with absolutely nothing naughty in them. Perfect! Make these and feel like you’ve just had the biggest treat – but actually you’re being the most healthy and clean-eating breakfaster you can be. The coconut flour means gluten intolerant eaters won’t have any trouble and means added protein for a post-gym meal. There’s nothing not to love. Put a frying pan on the hob and heat on a high/medium heat. As that’s warming up, prepare your mixture. In a small bowl, beat the egg. Add the milk and whisk for a couple of minutes. Add the flour, cacao, salt, baking powder and stevia and mix into the liquid. Keep stirring until all the dry ingredients have mixed in and the cacao has evenly spread. Spoon the mixture into the frying pan in small circular shapes. Cook for 1-2 minutes on one side, flip, and cook for 30 seconds on the other side.